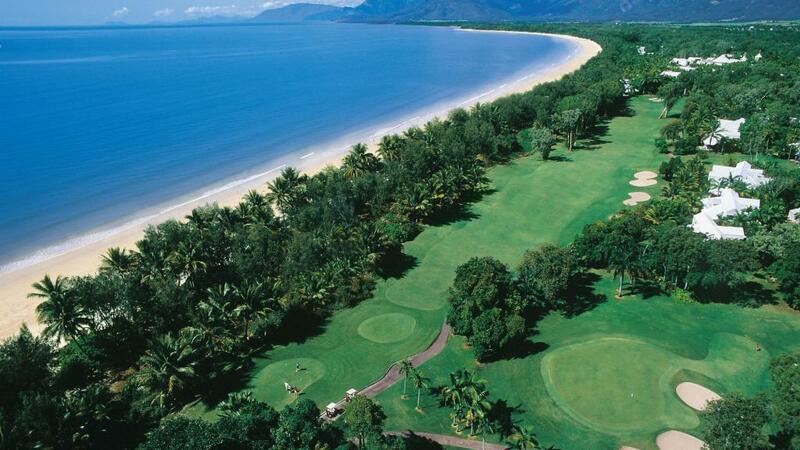 Players at the beautifully designed and impeccably maintained world class golf course of the Mirage Country Club located at the Sheraton Mirage Port Douglas Resort are no stranger to a bit of bite off a shot with too much backspin. However, recently the local wildlife had been offering up a bite of their own kind. A 3.6m crocodile has been removed from the country club after getting a bit too close for comfort. While crocodiles aren't unusual in far north Queensland, their tendency to get close to golfers is a little more out of the ordinary. Peter Douglas, general manager of the Mirage Country Club said that although crocodiles on the course are fairly common, the aquatic reptiles generally come and go as they please, leaving golfers to their greens. However two local crocs appear to have taken a liking to the acclaimed course and have set themselves up as permanent residents. Concerned the crocodiles were a bit too comfortable and relaxed around guests, the decision was made to trap and remove them when they had to audacity to sit out on the grass a bit too close to players. Wanting to avoid any danger to guests, wildlife officers were brought in to lay traps. While only one of the two crocs has been captured, the course will continue to be monitored by wildlife officers. Although the crocodiles had not shown any aggression towards players, the rangers believed it best to take the necessary precautions and remove them from the area. The successfully captured croc will receive a health check before being offered to a zoo or registered crocodile farm. No big deal for locals, the reptilian guests have been quite a novelty for tourists and their presence on the course hasn't seemed to affect the popularity of the Mirage Country Club or the Sheraton Mirage Resort.